Rectangular trampolines can be loads of fun. Those who start off with round trampolines will eventually want to switch to rectangular trampolines. They are more common amongst athletes, such as cheerleaders, gymnasts, snowboarders, basketball players, wakeboarders, etc. Unlike round trampolines, rectangle trampolines have a more consistent bounce throughout the entire mat. The springs will stretch and pull, depending on whichever part of the mat gets the most tension. Because of the consistent bounce throughout the mat, trampoline competitions are always done on rectangle trampolines. Many athletes of all sports, both amateurs and professionals, will train on rectangle trampolines to build endurance, coordination and agility. Rectangular trampolines MUST have at least a 3.0 mm frame thickness, otherwise, the bounce will not be optimized. Also, if you’re ever tight on space, rectangular trampolines are much easier to fit in tight corners. 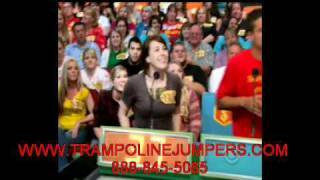 If there are always multiple users on the trampoline at any given time, it’s always safest to go with the larger trampolines. Larger trampolines will allow for the users to jump freely, without having to worry about bumping into each other. Those who want their trampoline to be used for athletic training purposes, always consider a rectangular trampoline or large round trampoline. Rectangular trampolines have a very consistent bounce throughout the entire mat, so flips and maneuvers can be done more easily. Especially for cheerleading, snowboarding or gymnastic purposes, rectangular trampolines are perfect. Single users, ages 7 or younger, a small rectangular trampoline or 14’ round trampoline or smaller will be sufficient. However, if the child is older than 7, he/she will be going through his/her growth spurt, so will require a larger trampoline. Always remember, the child will grow taller and heavier, but the trampoline size will remain the same. 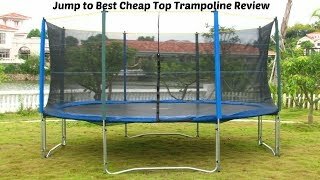 So if you’re in the market for a quality trampoline that will last, consider the next 3 to 10 years. Will this trampoline be large enough?